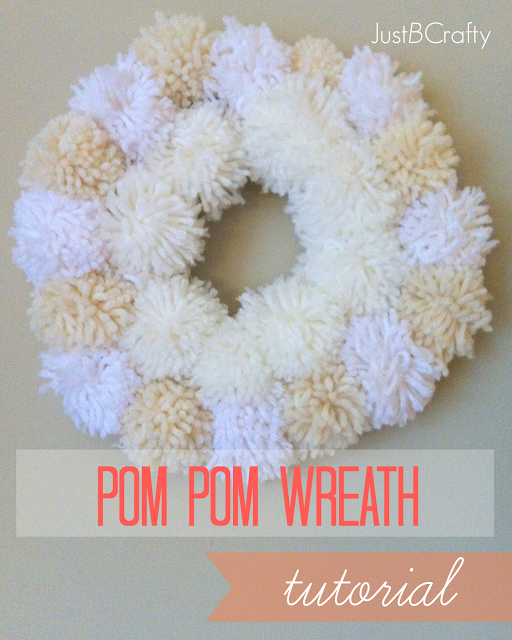 Lately I have noticed pom pom wreaths popping up all over the place and am excited to have finally made my own and share how I did it! I love the warm fuzzy feel it adds to the room, and I plan on making more in a few different colors or maybe even a giant one. Our apartment is finally all decorated for Christmas with our lights, tree and now this little wreath. I made some cute crochet snowman ornaments, and yarn chained garland so stay tuned for those projects coming up this week. Now on to the important stuff…despite the large number of photos in my tutorial, the wreath actually works up pretty quickly and is not difficult at all to do (I promise!). I split my tutorial up into two chunks, with the first part showing how to make a pom pom, and the second on how to assemble the wreath. 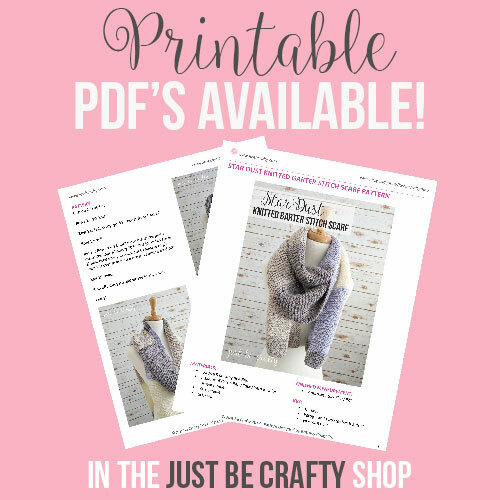 This is a great project for using up scrap yarn that might be lying around the house. I made mine with white and soft white Red Heart Yarn, and some cream colored wool. I am really happy with the way it turned out and even happier I already had all the materials on hand so this project was free for me. Yay! Wrap yarn around your hand until you get it nice and thick like in picture #2. Next Cut a piece of scrap yarn thats about 12 inches. 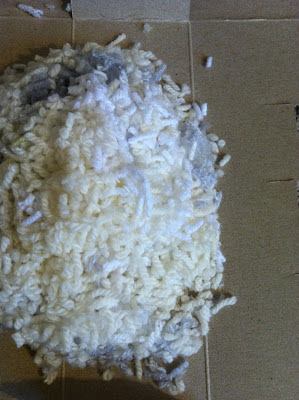 This scrap piece will be used for securing your pom pom. Next, take that piece of scrap yarn and use a crochet hook/pen/long skinny stick to poke it down between your fingers (middle and ring finger) like in picture #4, pull it so that half the string is in your palm and the other half is on the back of your hand. Take the half thats on the back side of your hand and slip it between your middle and ring finger tips like in picture #5. Tie the two strands as best as you can. Slip the yarn off your fingers and pull the knot tight. Flip the yarn over and knot the other side. Your pom pom form should look like a bun. Cut the strands around the “bun” taking care to not cut your long securing strands. The securing strands are used for tying the pom poms to whatever you are making. Fluff up your pom pom to see how it looks. Trim where you see fit. I like to trim mine a lot as the more you trim it, the more dense your pom pom! Make them in bunches for wreaths, gift toppers, garland, ornaments, and more! Also, save your scraps!! As you can see here all my pom pom trimmings added up. I ended up with a huge pile of little yarn shavings that I just couldn’t bring myself to throw away so I gathered them all into a little baggy to save for stuffing for my next amigurumi project. These little yarn scraps are a great fiberfil substitute when you’re in a pinch! 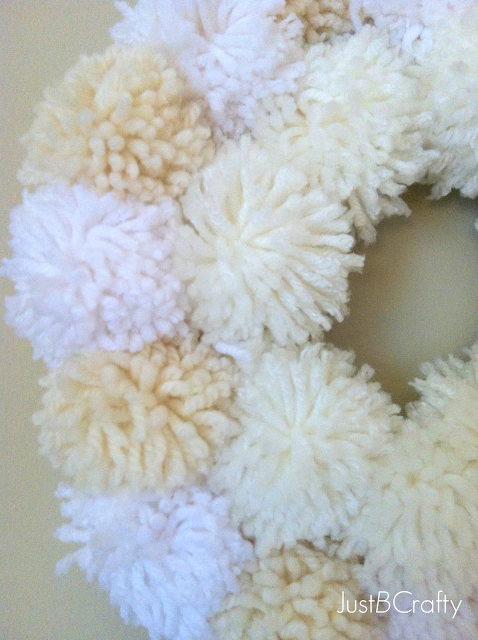 Arrange your pom poms into 2 circles in the shape of your wreath. My circles consist of 8 pom poms in inner circle and 16 pom poms in my outer circle. Take 3 pipe cleaners and twist them together to make one thick strand. Take another 3 pipe cleaners and do the same thing. Twist the two thick pipe cleaner strands together and form a circle to the size of your inner pom pom circle. Tie the pom poms to your pipe cleaner circle with those long securing strand tails. Once your inner circle is done, do the same thing for large circle. I used 4 thick pipe cleaner strands to make the big circle. Now that both circles have all your pom poms attached, put your small circle inside the big circle and have the pipe cleaner side facing up. 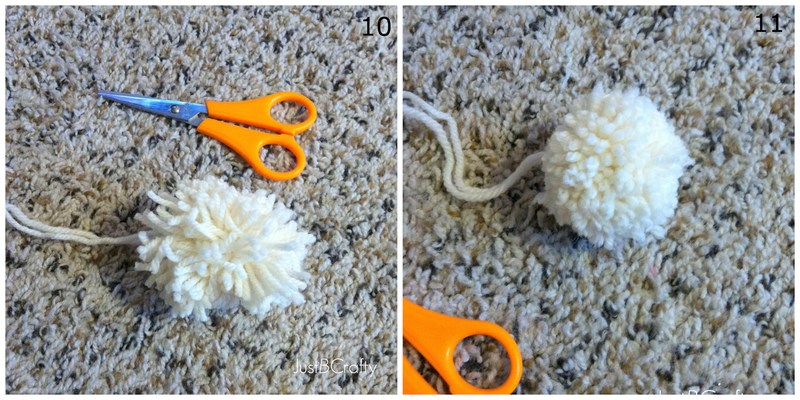 Take one tail from each inner pom pom and it tie it to the tail of an outer circle pom pom just like in picture #17. Now that your inner and outer circles are connected, flip your wreath over so you can see the pretty side. If yours is like mine, you’ll see in picture #18 I have some gaps in my wreath. 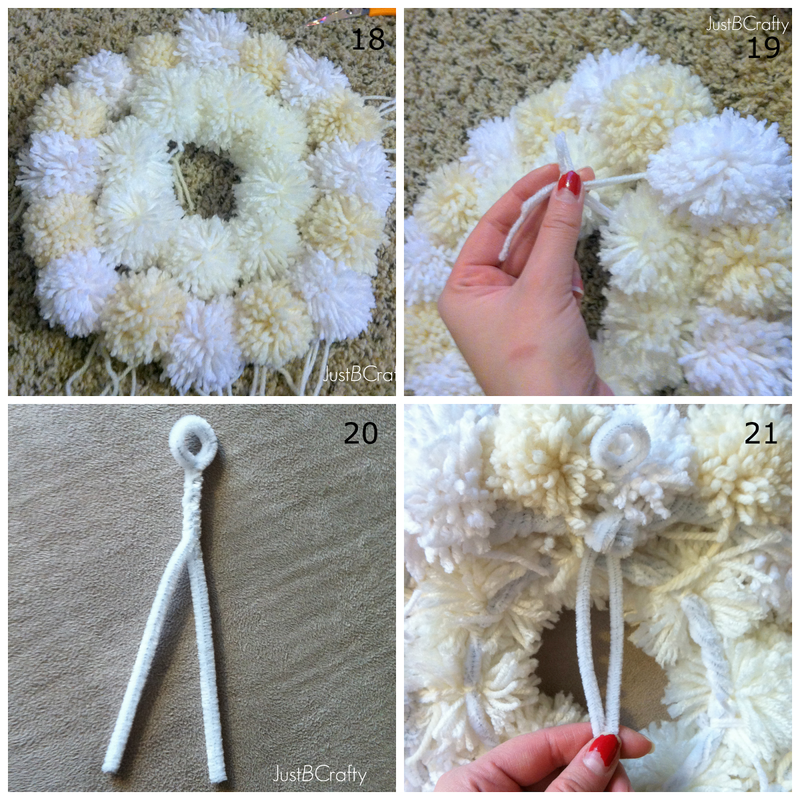 For wreath gaps, you can do one of two things, either add in more pom poms to fill those gaps, or do what I did and just take the tails from the inner and outer circle and tie them in the front (demonstrated in photo #19) to fill in the holes. Once you get the wreath how you like it, cut all the tails to blend in with the pom poms. To hang, just take another pipe cleaner bend it in half, and twist it a bit and attach it to the outer circle of your wreath. Flip the wreath back over, fluff it up, and hang it on your favorite wall or door. Marvel at all your hard work, and enjoy all the yarn glory!! Hi Brittany! I just love your pom pom wreath! It's so cute. I think I"m gonna make one for Valentine's Day since I'm about on Christmas decor overload right now 🙂 Thanks so much for linking up this week at the Link it or Lump It Link Party. I wanted to let you know I have picked your wreath as a feature this week. Come on over and grab a button and don't forget to link up again this week. Hi Leslie, thank you so much for the feature! !